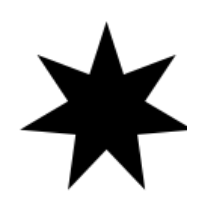 "The Dipper" is our monthly newsletter, where we highlight readings, events, calls for submission, and other literary-related news for the coming month. If you have news or events to share, let us know! Thank you to everyone who braved the lion-like weather to join us, Colin McKaig, Peter Money, and Ruth Antoinette Rodriguez at Poetry & Pints at the Brownsville Butcher & Pantry last month! The Brownsville community warmly embraced the headlining poets with rapt attention and loud applause, then entertained us with their own poems at the open mic. This welcoming community is fostered by Lauren and Peter’s enthusiasm and energy, and their wonderful food. If you’re in the Brownsville area, stop by for a snack, a meal, a drink, groceries, meat, cheese, wine, or—coming this summer—ice cream and bbq! Thank you Colin, Peter, Ruth, Lauren, and Peter for a fantastic night. With spring underway, we look forward to our favorite summer event: Poetry & Pie on Saturday, August 3, from 3:00 to 5:00 pm! This year is our third year at the beautiful Sweetland Farm in Norwich, Vermont. We’ll have three amazing poets, plenty of pie choices, and an open mic for your original work. Please save the date! We’ll be announcing the headlining poets soon. In the meantime, can you guess who’s coming from these clues? Mystery poet #1 grew up going to Al’s French Frys in Burlington but currently lives out of state. Mystery poet #2 lives in the Upper Valley and champions writing and books every day. Mystery poet #3 was a former writer-in-residence at Paris’ Shakespeare & Co.
Can you resist? To join us, just get a copy and read. To be in the know about future titles, please subscribe to our Tiny Letter. Fantastic poet and all around good guy James Crews has edited a new book of poetry entitled Healing the Divide: Poems of Kindness and Compassion. Yes! This anthology, which comes out on April 9, has a preface by Ted Kooser and includes poems by Mark Doty, Ross Gay, Donald Hall, Marie Howe, Naomi Shihab Nye and many others. The poems in this beautiful book prove to us the possibility of creating in our lives what Dr. Martin Luther King called the “beloved community,” a place where we see each other as the neighbors we already are. Attend the launch for Healing the Divide on Tuesday, April 16 at Bear Pond Books in Montpelier, Vermont. And look for an interview with James on our blog about this project soon. Last month we let you in on Allie Levy’s plans for the Still North Books & Bar in Hanover, New Hampshire. We’re happy to say that renovations for Still North are well underway and the latest news is that a beautiful, original brick wall has been revealed. Allie is still looking for donations to buy the books. Any amount is welcome. If you donate even $1, you get to tell Allie your favorite books, which she’ll compile into a list available at the store once it opens. Let’s all help Allie buy the books! Always looking for ways to make this newsletter more useful for you, we’ve made some changes to the Submissions and Workshops sections to make them a little less wordy and a little easier for you to scan quickly. We hope you find this change helpful! Randolph and Montpelier, Vermont, celebrate National Poetry Month with their annual series of PoemTown and PoemCity events, beginning with dinner and a reading with poet Kerrin McCadden at the Black Krim Tavern in Randolph at 6:00 pm on Monday, April 1. Check our calendar (and the Kellogg-Hubbard Library website) for more PoemTown and PoemCity events. Jo Knowles, YA author, roller derby queen, and all around good human, is launching her latest book, Where the Heart Is, at Yankee Bookshop in Woodstock, Vermont, on Wednesday, April 3, from 6:00 to 7:00 pm. 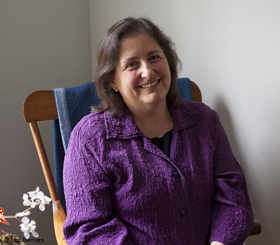 On Thursday, April 4, poet Laurie Sheck will be reading at the Vermont Studio Center in Johnson, Vermont, at 8:00 pm. The first annual Exeter Literary Festival takes place Friday, April 5, through Saturday, April 6, in various venues around Exeter, New Hampshire. The Festival features a keynote talk by Dan Brown, book discussions, a picture book scavenger hunt, book trivia competitions, a literary cosplay celebration, panel discussions, readings and signings, and a gala poetry reading at The Word Barn. Bloodroot Literary Magazine celebrates the launch of its fourth digital edition at Left Bank Books in Hanover, New Hampshire, on Tuesday, April 9, at 7:00 pm. Come celebrate with readings, an open mic, and snacks. On Thursday, April 11, at 4:30 pm, Yiyun Li reads as part of the Cleopatra Mathis Poetry & Prose Reading Series at Sanborn Library at Dartmouth College in Hanover, New Hampshire. As part of PoemCity events (see above), Bear Pond Books in Montpelier, Vermont, is hosting a group reading to celebrate the launch of Healing the Divide: Poems of Kindness and Connection. This special reading features James Crews (who edited the book), Mary Elder-Jacobson, Megan Buchanan, Alison Prine, Patricia Fontaine, Laura Foley, Carol Cone, and others. The reading on Tuesday, April 16, begins at 7:00 pm. Namwali Serpell reads from her new novel, The Old Drift, at Sanborn Library at Dartmouth College in Hanover, New Hampshire, on Tuesday, April 16, at 4:30 pm. Margaret Atwood. Photo by Brigitte Lacombe. Margaret Atwood (yes, that Margaret Atwood), prize-winning author of over fifty books—including The Handmaid’s Tale and Alias Grace—will give a lecture at Dartmouth College’s Spaulding Auditorium in Hanover, New Hampshire, on Thursday, April 18, from 4:30 to 6:00 pm. Justin Torres, author of We the Animals, gives a reading at Dartmouth College’s Sanborn Library in Hanover, New Hampshire on Friday, April 19, at 4:30 pm. The following evening (April 20), Torres hosts a public screening of the film based on his book at the Loew Auditorium in Hanover, New Hampshire, at 7:00 pm. PoemTown Randolph hosts Farmer Poets Night on Saturday, April 20, at 7:00 pm, featuring Taylor Mardis Katz, Carl Russell, and Caitlin Gildrien. The reading at Silloway Sugar House in Randolph Center, Vermont, will be followed by sugar on snow and other light refreshments. On Tuesday, April 23, Bear Pond Books in Montpelier, Vermont, hosts a Poets for Migrant Justice fundraising reading, featuring Nico Amador, Cynthia Dewi Oka, and Natalie Scenters-Zapico. All donations given during this reading will benefit Migrant Justice. Next Stage Arts Project presents Green Writers Press’ 4th Annual Earth Day Celebration and Reading on Friday, April 26, at 7:00 pm at Next Stage Arts in Putney, Vermont. The evening will feature short readings by Vermont authors, book signings, and cake. 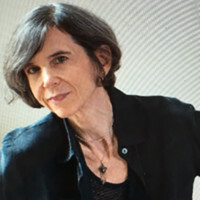 Close out National Poetry Month by seeing Alison Prine read at the Vermont Studio Center in Johnson, Vermont, on Tuesday, April 30, from 8:00 to 9:00 pm. Visit our calendar for detailed information about these events and more! Isabella Hammad will be at the Harvard Bookstore in Cambridge, Massachusetts, on Wednesday, April 17, at 7:00 pm for a reading and talk about her debut novel, The Parisian, which has been receiving rave reviews. Jane Hirshfield will be reading at Smith College’s Weinstein Auditorium in Northampton, Massachusetts, on Tuesday, April 23, at 7:30 pm. The winners receive a full fellowship to attend the Conference on Poetry at The Frost Place (July 6-12), including tuition, room, board, and travel. Accepting submissions of poetry, fiction, nonfiction, and visual art. Judged by Kathleen Hellen, the winner receives $500 and publication by Green Writers Press. A Fellowship consists of exclusive use of a private studio, accommodations and three prepared meals a day for two weeks to two months. The prize includes a cash award of $3000 in addition to publication by Tupelo Press, 20 copies of the winning title, a book launch, and national distribution with energetic publicity and promotion. This year’s prize is being judged by Oliver de la Paz. Looking for submissions in all genres: fiction, poetry, nonfiction, drama, translation, creative writing for their website, cover art, and art for their website. This publication prize is for a novelist or short story writer who writes about Vermont and/or the themes that resonate so well with Howard's work: nature, small-town stories, love, friendship, forgiveness, Vermont, solitude, and rural life, that are part of Howard 's literary legacy. Accepting registrations for this year’s conference (June 14 to 16). Registration includes workshops, a one-on-one meeting with your instructor, keynote with Bruce Bennett, critiques with poet-in-residence Rhina Espaillat, panel discussions, readings, a reception, breakfasts and lunches. Accepting applications for this summer’s institute (June 16 to 22). The institute includes manuscript consultations, craft sessions, workshops, readings, and other events, led by a wide range of instructors, including CAConrad, Gabriel Bump, Ross Gay, Khadijah Queen, Bianca Stone, Ocean Vuong, Dara Weir, and Joy Williams. Accepting submissions of fiction, poetry, nonfiction, and art. Mud Season Review pays authors and featured artists $50 for their work. Artists whose images they select to pair with writing receive $15. Accepting submissions of original and unpublished short stories, nonfiction, poetry, and artwork for their 2020 issue. While they consider a broad spectrum of subject matter for publication, they are looking for pieces that speak to the experience of medicine in some way. A workshop for those interested in reading and writing poetry, with a culminating reading at the Deborah Rawson Memorial Library in Underhill, Vermont. An exploration of the art of story. By writing, telling, and sharing their stories, participants will build bridges to the people, places, and experiences that have shaped their lives. This supportive, encouraging, and semi-formal workshop is for writers of fiction, creative non-fiction and poetry. Both new and established writers are welcome, though we do have an application process for this intimate session. The recent purchase of metal type in the Cherokee Syllabary has prompted new interest in our Book Arts Workshop. This symposium seeks to bring together makers of all kinds (students, scholars, librarians, writers, artists, and printers) to exchange their experiences and knowledge in tactile learning and explore new possibilities. Explore the art of storytelling and learn how to shape your writing to tell a compelling story. The agenda includes talks by three writing professionals, a tour the town library for a librarian's perspective on books and writing, and a generative writing exercise with local writer Amy Braun. The program concludes with a Q&A on storytelling and books. Register by April 9. Learn to create resonance, heightened urgency, and a timeless quality to your work. $25, regardless of AVA membership. This workshop explores the poetic form and why poets use them. The workshop is open to ages 15 and up. All levels of experience are welcome! The theme of this year’s conference is “The Art of Storytelling.”The keynote speaker will be New York Times bestselling author Gregory Maguire, author of Wicked. This year’s workshops include Graphic Memoirs with Melanie Gillman, Creating Graphic Novels for the Young Adult Market with Jo Knowles and Tillie Walden, and a Graphic Novel Workshop with Paul Karasik. Even though we still have at least a foot of snow in the yard and the wood stoves are cranking along as brightly as ever, there’s a definite change in the air: there’s daylight after 5:00 pm, the feed store is stocking sugaring supplies. Mud Season is coming! Help us welcome Northern New England’s fifth season by joining us and our friends Lauren Stevens and Peter Varkonyi at the Brownsville Butcher & Pantry for Poetry & Pints on Sunday, March 10, from 5:15 to 7:00 pm. We’ll hear readings from three fantastic poets—Colin McKraig, Peter Money, and Ruth Antoinette Rodriguez— and we’ll enjoy fabulous food, beer, and wine, plus an open mic where you can read your original work. Admission is by donation. Visit the Poetry & Pints page on our website for full details. Please let us know you’re coming by sending your RSVP to info@butcherandpantry.com. Last year, Hanover, New Hampshire, and Dartmouth College lost the only new bookstore in town. While we’re huge fans of Left Bank Books and The Norwich Bookstore (just across the river in Norwich, Vermont), we firmly believe that the more bookstores we have, the better our area will be. Fortunately, our friend Allie Levy has a plan: Still North Books & Bar, an independent bookstore, bar, and café in the heart of downtown Hanover. We’ve talked to Allie and are impressed with her energy, vision, and the work she’s already put into making this new bookstore a success and a true part of the community. Still North will boast a carefully curated book selection, a full range of events, drinks and food, and a place to hang out and talk about books. But to make this bookstore real, Allie needs funding help to stock the shelves with books. That’s where you come in. Please contribute to the Still North Indiegogo fundraising campaign, earn great perks, and be part of the community that gets this new literary landing spot up and running by fall 2019. Dear Slow Club Book Club friends, we’re so curious to know your thoughts about Yoko Tawada’s The Emissary. We’ve already heard from several of you, and have had great conversations about this little book and literary translation in general. If you’re reading along, let us know! And if you post about it to Instagram or Twitter, be sure to tag us with #slowclubbookclub or #literarynorth. We’ll be announcing our second book of the year in mid March (to begin reading in April). It’s never too late to sign up! A cool literary find from each of us to help light up your month! January Gill O’Neil. Photo by John Andrews. On Tuesday, March 5, poet January Gill O’Neil is reading as part of the Eagle Pond Authors series at the Silver Center for the Arts in Plymouth, New Hampshire. The reading begins at 7:00 pm, followed by a book signing and reception. Bennington College’s spring Literature Evening series continues on Wednesday evenings with Andrea Lawlor on March 6, Natalie Scenters-Zapico on March 13, and Joseph Grantham and Catherine Pikula on March 20. The readings take place at 7:00 pm in Franklin house on Bennington’s campus in Bennington, Vermont. Poets Colin McKaig, Peter Money, and Ruth Antoinette Rodriquez will read as part of Poetry & Pints at Brownsville Butcher & Pantry in Brownsville, Vermont, on Sunday, March 10, beginning at 5:15 pm. The evening will feature an a la carte menu, beer and wine by the glass, and an open mic. Sliding scale admission of $6 to $10. If you plan to attend, please RSVP. Kimberly Kruge. Photo by Vira Ivanova. On Tuesday, March 12, at 7:00 pm, poet and translator Kimberly Kruge will read from her new book, Ordinary Chaos, at Left Bank Books in Hanover, New Hampshire. Join the Poetry Society of New Hampshire from 5:30 to 6:30 pm on Wednesday, March 13 at Gibson’s Bookstore in Concord, New Hampshire, for a Melopoeia—poetry read to the accompaniment of music—with poets Rhina Espaillat and Alfred Nicol, and guitarist John Tavano. Rowan Ricardo Phillips reads on Wednesday, March 20 at 8:00 pm at the Vermont Studio Center in Johnson, Vermont, where he’s a visiting writer for the month. Joan Wickersham will be at reading at the University of New Hampshire as part of the UNH Writers series on Thursday, March 21, at 5:00 pm. If you missed seeing Jane Brox last month, you get another opportunity to hear her read at 7:00 pm on Wednesday, March 27 at the Water Street Bookstore in Exeter, New Hampshire. Also on Wednesday, March 27, Emily Bernard will be at The Norwich Bookstore to read from her book of essays, Black Is The Body, at 7:00 pm. Poet Layli Long Soldier is giving a reading at Smith College’s Weinstein Auditorium in Northampton, Massachusetts, on Tuesday, March 5, at 7:30 pm. Her 2017 book, Whereas, was a finalist for the 2017 National Book Award and won the National Book Critics Circle Award in Poetry. Kiese Laymon will be reading from his memoir, Heavy: An American Memoir, at Northshire Saratoga Springs, on March 8 at 7:00 pm. Go! Marlon James will be at The Odyssey Bookshop in Hadley, Massachusetts, on Thursday, March 14, at 7:00 pm for the First Editions Club reading of his book Black Leopard, Red Wolf. The Green Writers Press literary magazine, The Hopper, is now accepting submissions of poetry, fiction, nonfiction, and visual art. For more information and to submit, please visit their Submission page. Applications are open for Free Verse Farm’s week-long poetry residencies. Residents will stay in an off-grid, vintage camper on the farm in Chelsea, Vermont. The residence fee is $250/week, which includes coffee and tea. Poets are welcome to bring a partner at no extra charge. The application deadline is April 1. For more information and to apply, please visit the Free Verse Residency page. Every fall, the MacDowell Colony in Peterborough, New Hampshire, awards residency Fellowships to artists in seven disciplines, including literature. A Fellowship consists of exclusive use of a private studio, accommodations and three prepared meals a day for two weeks to two months. The deadline for the 2019 Fall MacDowell Literature Fellowship is April 15. The application fee is $30. For more information, please visit the Residency Application page. Barnstorm, the online literary journal of the MFA Program in Creative Writing at the University of New Hampshire, is accepting submissions through May. Barnstorm publishes previously unpublished work in nonfiction, fiction, and poetry. For more information, please visit the Barnstorm Submission page. New England Review is looking for submissions in all genres: fiction, poetry, nonfiction, drama, translation, creative writing for their website, cover art, and art for their website. NER charges a small fee for online submissions ($3 for prose, $2 for poetry and NER Digital) to help support their mission to publish writers at all stages of their careers. The deadline is May 31. For more information, please visit the New England Review Submissions page. The Juniper Summer Writing Institute in Amherst, Massachusetts, (June 16 to 22) is accepting applications. The institute includes manuscript consultations, craft sessions, workshops, readings, and other events, led by a wide range of instructors, including CAConrad, Gabriel Bump, Ross Gay, Khadijah Queen, Bianca Stone, Ocean Vuong, Dara Weir, and Joy Williams. The non-refundable application fee is $40. For more information and to apply, please visit the Juniper Institute website. Lifelines Magazine, a literary and art journal from the Geisel School of Medicine, is accepting submissions of original and unpublished short stories, nonfiction, poetry, and artwork for their 2020 issue. While they consider a broad spectrum of subject matter for publication, they are looking for pieces that speak to the experience of medicine in some way. The deadline is October 31. For more information, please visit the Lifelines Magazine Submission page. How do you tap into meaningful material? How do you shape a personal essay to capture and maintain a reader’s interest? What narrative techniques can you use to make your prose vivid and convey emotion? Those are some of the issues we’ll cover in the “Writing Personal Stories” workshop at the Writer’s Center of White River Junction on March 2, from 9:30 to 11:30 am. We will be doing in-class writing so please bring a notepad or laptop. Preregistration required. $45. For more information and to register, please visit the Writer’s Center’s Workshops page. The Writer’s Center of White River Junction is offering its “Sunday Surges” workshop from March 3 through March 31. This four-session workshop for fiction and creative nonfiction writers is a great way to generate material, revise with direction, and make solid progress on your prose project. Each meeting provides you with a deadline to assure you are producing consistently. If your goal is to launch or make steady progress on a novel, memoir, essay, or other type of narrative work, this group is for you. Preregistration required. $145. For more information and to register, please visit the Writer’s Center’s Workshops page. On March 9, from 9:00 am to 2:00 pm, the AVA Gallery and Art Center in Lebanon, New Hampshire, is offering a “One Photo, Four Stories” writing workshop where you will use a photo of your choice as a prompt for four separate stories. This class is open to all levels. $68 for members; $80 for non-members. For more information and to register, please visit the AVA Gallery website. On March 9 and 10, poet Shira Dentz leads a two-day Prose Poem workshop at The Word Barn in Exeter, New Hampshire. In this workshop, you’ll explore the elusive form of the prose poem through reading, discussion, writing experiments, and workshopping. Unconventional writing prompts will follow each of our discussions. An extended workshop on the second day will give everyone the chance to refine at least one prose poem they drafted through this workshop. Registration is required. $275. For more information and to register, please visit The Word Barn’s Workshops page. Do your stories “tell a truth”? Is it a truth you believe in? Few writers realize that unity is key to creating a powerful and emotionally resonant story, and theme is key to creating a unified story. Join Jeanne Cavelos for an online “Unifying Your Story Around a Meaningful Theme” workshop on March 14, from 7:00 to 8:00 pm. We’ll identify themes important to you and explore how to build a story from a theme so it is conveyed in an organic, not preachy, way. A way “that the reader cannot forget.” $20 for New Hampshire Writers’ Project members; $30 for non-members. For more information and to register, please visit the NHWP Workshops page. On March 16, from 10:00 am to 12:00 pm, Lindsay Gacad will teach “What’s Underneath,” a creative nonfiction writing workshop at the Vermont College of Fine Arts in Montpelier, Vermont. In this generative workshop, we’ll focus on creative nonfiction in its various forms. We'll examine how most relatable narrators in nonfiction are often deeply flawed. Sliding scale rates available to make the class accessible to all. For more information and to register, please visit the VCFA’s MFA in Writing and Publishing page. Writing can be a powerful, cathartic means of coping with life's greatest hardships, including the illness and death of loved ones. In the Writing Group for People Experiencing Loss workshop, discover ways that writing may allow grief to move and evolve. Co-facilitated by Jenny Gelfan, MAed, and Jessica Stout, MSW, this workshop will meet Thursdays at 12:00 pm from March 21 to April 25 at the Jack Byrne Center at Dartmouth-Hitchcock Medical Center, in Lebanon, New Hampshire. For more information or to RSVP, please email Amanda M. Reinemann or call her at (603) 308-2447. Do you have an interview project in mind but don’t quite know where to begin or how to proceed? The Vermont Folklife Center is offering its “Oral History: An Introduction” workshop to help you move your project forward. This workshop combines discussion of the theories and methods that inform oral history research with practical, hands-on training in oral history interview techniques. The workshop will be held on March 23, from 10:00 am to 4:00 pm at The Center for Cartoon Studies in White River Junction, Vermont. $95 ($55 for students). For more information and to register, please visit the Vermont Folklife Center’s Workshop page. On March 30, from 10:00 am to 4:00, the Vermont Folklife Center is offering its “Storytelling for Social Change” workshop at Northern Stage in White River Junction, Vermont. In this workshop we will explore the ethics and techniques of oral history, ethnography, and storytelling as activist research methodologies. Attendees will be introduced to these three merging methodologies through a combination of short media pieces and discussions, will be invited to take a critical and analytical look at the history of documentary work, and will learn the basics of skills such as interviewing, story circle facilitation, and ethnographic observation. We will also cover the technical aspects of storytelling, providing an introduction to tools for minimal-resource and mobile audio recording. $95 ($55 for students). For more information and to register, please visit the Vermont Folklife Center’s Workshop page. Poet Michael Metivier will lead a “Matter of Life and Verse: Writing Poetry” workshop on Tuesdays, from April 16 through May 21, from 6:00 to 8:00 pm, at the AVA Gallery and Art Center in Lebanon, New Hampshire. Learn to create resonance, heightened urgency, and a timeless quality to your work. $25, regardless of AVA membership. For more information and to register, please visit the AVA Gallery website. As part of PoemCity Montpelier, Rebecca Jamieson will teach a “Fun with Forms” poetry workshop on April 20, from 10:00 am to 12:00 pm at the Vermont College of Fine Arts in Montpelier, Vermont. This workshop explores the poetic form and why poets use them. The workshop is open to ages 15 and up. All levels of experience are welcome! For more information and to register, please visit the VCFA’s MFA in Writing and Publishing page. Already dreaming of summer? Registration for Summer Workshops at The Center for Cartoon Studies in White River Junction, Vermont, is already open. This year’s workshops include Graphic Memoirs with Melanie Gillman, Creating Graphic Novels for the Young Adult Market with Jo Knowles and Tillie Walden, and a Graphic Novel Workshop with Paul Karasik. For all the details and to register, please visit the CCS 2019 Summer Workshops page. Save the date! Literary North is proud to partner with our friends at the Brownsville Butcher & Pantry for Poetry & Pints in Brownsville, Vermont, on Sunday, March 10, from 5:15 to 7:00 pm. Doors open at 4:30 pm. Admission is by donation. The evening features poets Colin McKraig, Peter Money, and Ruth Antoinette Rodriguez; fabulous food, beer, and wine; plus an open mic so we can hear YOUR original work. Chef Peter Varkonyi is creating a cozy a la carte menu for the evening. Beer, food, poetry! It’s what you need to survive the end of winter. We hope you’ll join us. Visit the Poetry & Pints page on our website for full details. It won the National Book Award for Translated Literature. New Directions, a fantastic small press, published it! In Yoko Tawada’s author photo, she is posing with a pomegranate. If you’re reading along, let us know! And if you post about it to Instagram or Twitter, be sure to tag us with #slowclubbookclub or #literarynorth. Poets, please consider applying for the Free Verse Farm Residency in the hills of Chelsea, Vermont. The location is stunning and we can’t imagine better hosts than Taylor and Misha. Applications are due April 1. James Crews is hosting his online Mindfulness and Writing workshop beginning on February 2. James was a featured poet at our first Poetry & Pie event. His poetry is outstanding, and he’s such a kind person. You’re sure to enjoy his class. Jo Knowles and Tillie Walden will be teaching their “Creating Graphic Novels for the YA Market” workshop at The Center for Cartoon Studies this summer. We interviewed this dynamic duo last year about the class. Registration for CCS Summer 2019 classes is open now. To make room on our site for new events, we’ve collected information and links for all of our past events and projects on a single page. We hope this makes it easier for you to find out what we’re up to and what we’ve done before. We have some really fun ideas for 2019 and can’t wait to add them to the list. As subscribers, you’ll hear about all of it first! Thank you, as always, for your support, kind words, and enthusiasm. Your energy helps fire up this two-woman team! 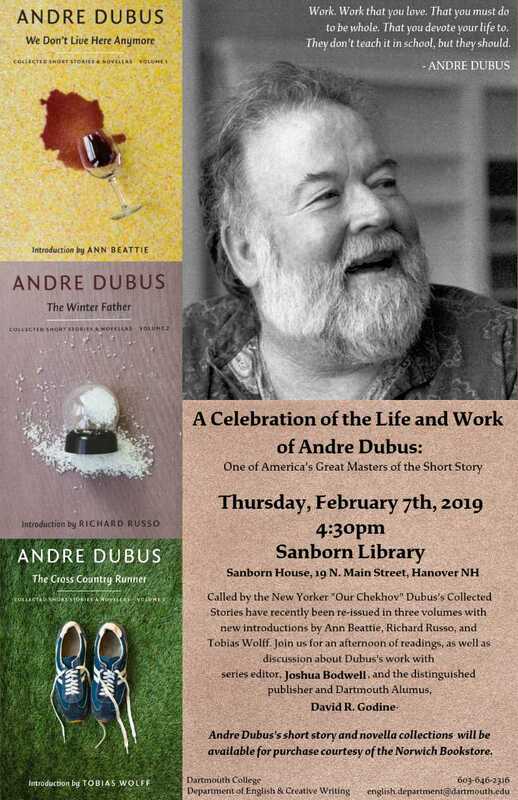 Thursday, February 7 at 4:30 pm, Dartmouth College in Hanover, New Hampshire, celebrates the life and work of Andre Dubus II in Sanborn Library with readings and discussion about Dubus’ work. The event features the editor of his re-issued series of Collected Stories, Joshua Bodwell, and the distinguished publisher David R. Godine. The Vermont Book Shop in Middlebury, Vermont is holding A Celebration of Vermont Poets on Saturday, February 9, at 4:00 pm. The great lineup includes Dede Cummings, Chard deNiord, Karin Gottshall, Syd Lea, Gary Margolis, Julia Shipley, and Bianca Stone. With chocolate! The Center for Cartoon Studies’ own James Sturm is on tour for his new graphic novel, Off Season. Catch him at the CCS in White River Junction, Vermont, on Thursday, February 14 at 4:00 pm. James’ presentation will also touch upon the drawing of dogs, crooked contractors, LSD, and 4 x 6 index cards. The lovely Jane Brox will be at The Toadstool Bookshop in Peterborough, New Hampshire, on Saturday, February 16, at 11:00 am to read from her latest non-fiction work, Silence. Poet Gabrielle Calvocoressi reads at Dartmouth College in Hanover, New Hampshire, on Thursday, February 21, at 4:30 pm in the Sanborn Library. You’ve got two great chances to see Pam Houston read from her recent book, Deep Creek. On Sunday, February 24 at 6:00 pm, she’ll be at the Northshire Bookstore in Manchester, Vermont; she’ll be at Gibson’s Bookstore in Concord, New Hampshire, on Tuesday. February 26. Emily Bernard, a professor of Critical Race and Ethnic Studies at the University of Vermont, reads from her book, Black Is The Body, at 6:00 pm on Friday, February 22 at the Northshire Bookstore in Manchester, Vermont. The Painted Word Poetry Series is back at The Fleming Museum of Art in Burlington, Vermont. Stephanie Burt reads on Wednesday, February 27 at 6:00 pm. LitFest 2019 begins on Wednesday, February 27 and goes through Sunday, March 3 at Amherst College in Amherst, Massachusetts. 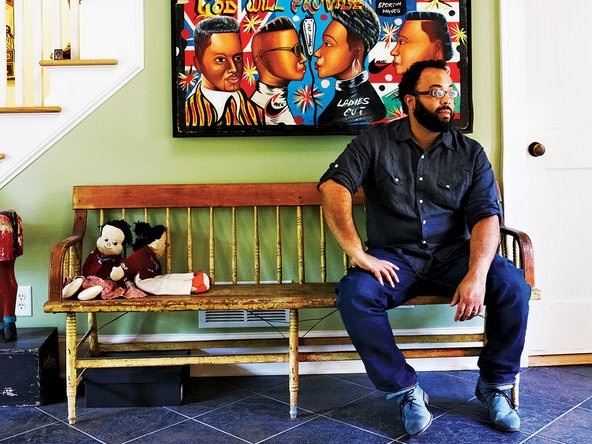 Jamel Brinkley—whose amazing collection of short stories, A Lucky Man, was nominated for a National Book Award and for The Story Prize—will be reading on Thursday, February 28 along with fellow NBA nominee Brandon Hobson. Other writers in attendance will be Jennifer Egan, Elizabeth Kolbert, and Cullen Murphy. What a treat to hear Zadie Smith and her husband Nick Laird speak about their books, both titled Feel Free, on the Shakespeare & Co. podcast. Every single episode of the Slowdown podcast with Tracy K. Smith. Period. It’s PoemCity and PoemTown season again! Submit your poems for consideration to be displayed in downtown windows in Montpelier, Randolph, and St. Johnsbury, Vermont, during the month of April. The submission deadline for Montpelier and Randolph is February 4. The submission deadline for St. Johnsbury is February 28. For more information about Montpelier and St. Johnsbury submissions, please visit the PoemCity Submission page and the PoemCity website. For Randolph submissions, please send 1-3 original poems as Word attachments to musbird@gmail.com. Include your contact information in the email (name, mailing address, email address and telephone number). Then attach each poem separately with the title of the poem as the document name and no identifying information other than the poem’s title on each document. The Upper Valley Fiction group is accepting new members. The group meets monthly, September though June, to offer honest feedback on each other’s work. An MFA or publication is not required, but comparable writing expertise is preferred. To apply, submit one short story or one chapter (no longer than 20 pages) by February 11 to uppervalleyfiction@gmail.com. The Poetry Society of Vermont is accepting submissions to its publication, The Mountain Troubadour, until February 14. You can submit up to three poems, of 40 lines or less. You must be a PSOV member to submit. For more information, please visit the Mountain Troubadour Submission page. Applications for the next round of Vermont Studio Center residency fellowships for artists and writers are due by February 15 (for residencies scheduled between May and December 2019 in Johnson, Vermont), including the James Merrill Poetry, ALSCW, VSC/Callaloo, Helen Zell Residency, and Voices Rising fellowships. Every VSC residency includes private room, private studio space, all meals, and full access to the VCS’ schedule of evening programs and events. For more information, please visit the VSC Fellowships page. The Portsmouth Poet Laureate Program is seeking nominations for the 2019-2021 Poet Laureate. 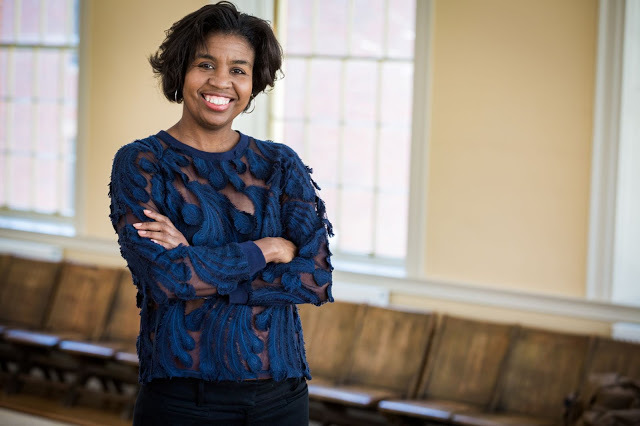 The Laureate is the PPLP’s main bridge to the community, a role model and recruiter for future generations of poets and sets the tone for two years in the life of the Portsmouth Poet Laureate Program. Nominees should live in Portsmouth, Dover, Durham, Eliot, Greenland, Kittery, Madbury, New Castle, Newfields, Newington, Newmarket, North Hampton, Rye, or Stratham, or work at least half time in Portsmouth. To make a nomination, send an email about your nominee to info@pplp.org by February 20. The AVA Gallery in Lebanon, New Hampshire, is looking for storytellers for its next Mudroom event (March 14). Selected storytellers will be awarded an AVA membership and may bring a guest to enjoy the evening. Please include a very brief summary of your story (no more than 300 words) and a short bio (no more than 150 words) by February 24. For more information, please visit the Mudroom page. Applications are open for Free Verse Farm’s week-long poetry residencies. Residents will stay in an off-grid small vintage camper on the farm in Chelsea, Vermont. The residence fee is $250/week, which includes coffee and tea, but all other groceries must be provided by the resident, with meal preparation occurring in the camper. Poets are welcome to bring a partner at no extra charge. The application deadline is April 1. For more information and to apply, please visit the Free Verse Residency page. The Juniper Summer Writing Institute in Amherst, Massachusetts (June 16 to 22) is accepting applications. The institute includes manuscript consultations, craft sessions, workshops, readings, and other events, led by a wide range of instructors, including CAConrad, Gabriel Bump, Ross Gay, Khadijah Queen, Bianca Stone, Ocean Vuong, Dara Weir, and Joy Williams. The non-refundable application fee is $40. For more information and to apply, please visit the Juniper Institute website. Poet James Crews is offering his four-week Mindfulness and Writing Online workshop from February 2 to March 9. This generative online writing workshop will examine connections between the practice of meditation/mindfulness and the act of writing fearlessly from the heart. Though not required, attendees will be invited to share their work via email with each other. Beginners and all skill levels are welcome. You do not need any previous experience with mindfulness, meditation, or online courses; all you need is an internet connection, email, and an open mind. $295 for four sessions. For more information and to register, please visit the Northshire Books events page. On February 9 from 1:00 to 4:00 pm, join the New Hampshire Writers’ Project and romance author Ana E. Ross at SNHU in Manchester, New Hampshire, for “So You Think You Know Me?” This workshop focuses on three vital elements of characterization in storytelling: Goal, Motivation, and Conflict (GMC). This interactive workshop invites you to bring a character you’re working on. $65 for members; $80 for non-members. For information and to register, please visit the NHWP Workshops page. The New Hampshire Writers’ Project is hosting a six-week “Preparing Your Manuscript for an Agent’s Eyes” workshop, where you can work your manuscript into a polished version ready for agents, professional review, and publishing consideration. You will work directly with Amanda Forbes Silva, a professional writer and editor who will help you better evaluate your writing and determine how to edit your work for clarity and concision. All genres are welcome! The workshop meets on Saturdays, February 16 through March 23, 1:00 to 4:00 pm at SNHU in Manchester, New Hampshire. $390 for NHWP members; $510 for non-members. For information and to register, please visit the NHWP Workshops page. Hello and welcome to 2019! We hope you all had a peaceful holiday season and had some time to read new or favorite old books between feasts, walks in the snow, movie watching, or however you celebrated the days. Did you get any books on your wish list for gifts? Or books you didn’t even know existed that you’re excited about? We sure did, and hope you did too! This month marks the start of the second year of the Slow Club Book Club and we’re incredibly excited to be devoting the entire year to women in translation. Our first book for 2019 is The Emissary, by Yoko Tawada, translated by Margaret Mitsutani. 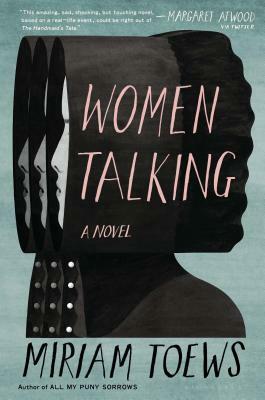 This novel recently won the National Book Foundation’s prize for Translated Literature and is one of Library Journal’s Best Books of 2018. If this book sounds interesting to you, we hope you’ll join as as we slowly read it from now through March. If you’re not already a member of SCBC, you can join by subscribing to the newsletter. And if you have suggestions for books written and translated by women (remember, they don’t have to be recent books; we love reading books from the past), drop us a line. We have a list of ideas already, but we always love suggestions from our faithful readers. Now that we’ve turned the corner into the new year, the calendar of events for January is starting to really fill out. In particular, January seems to be a good time for workshops and classes. Check out the long list of upcoming workshops at the end of this newsletter. It’s a positive blizzard of choices! Speaking of events, we’re setting aside a morning later this week for our first annual Literary North Retreat, where we’ll drink tea, eat something delicious, review our notes from 2018, and go through our wish lists to figure out the events and projects we want to pursue in 2019. We already have a couple of exciting ideas percolating, and we can’t wait to figure it all out and share our plans with you in the coming months. Here’s to 2019! May it be a year of good health and good books for you all. For the month of January, if you donate blood at Dartmouth-Hitchcock Medical Center in Lebanon, New Hampshire, they will buy a children’s book from The Norwich Bookstore to donate to the kids at CHaD (Children’s Hospital at Dartmouth-Hitchcock). So, you can do two good deeds at once: help save someone’s life, and give a kid a book. Get all the details and schedule your donation on the DHMC website. The Visiting Writers for the Winter Residency at VCFA in Montpelier, Vermont, will be giving readings January 3 through 5 at the chapel in College Hall at 7:00 pm. Carmen Maria Machado will read on January 3, Terrance Hayes on January 4, and Liara Tamani on January 5. Start your new year off right with Bennington College’s Writers Reading Series in Bennington, Vermont, which begins on Thursday, January 3 with Douglas Bauer and Carmen Gimenez Smith. The series wraps up on Friday, January 11 with Garth Greenwell and Mark Wunderlich. All readings are held at the College’s Tishman Lecture Hall, from 7:00 to 8:00 pm (except for the January 10 reading, which begins at 7.30 pm). Hannah Tinti and Chana Porter will be reading at the Haybarn Theater at Goddard College in Plainfield, Vermont, on Monday, January 7 and Tuesday, January 9, respectively. Both readings begin at 7:00 pm. On Thursday, January 17, Jonathan Miles will be in conversation with New York Times book critic, Dwight Garner, at The Northshire Bookstore in Manchester, Vermont. The event begins at 6:00 pm. Thomas Christopher Greene, president of VCFA, will be at Phoenix Books, in Essex, Vermont, on Tuesday, January 22 at 6:30 pm and at The Northshire Bookstore, in Manchester, Vermont, on Thursday, January 24, at 6:00 pm with his latest novel, The Perfect Liar. The official book launch will take place at Bear Pond Books in Montpelier, Vermont, on Tuesday, January 29. On Sunday, January 27, Dartmouth College celebrates Martin Luther King Jr. Day with a multi-faith celebration featuring the Dartmouth Gospel Choir and poet Kevin Young. The celebration begins at 3:00 pm at Rollins Chapel in Hanover, New Hampshire. Emily Bernard, author of Black is the Body, will launch her book on Tuesday, January 29, at 6:30 pm at Phoenix Books in Burlington, Vermont. Cognitive psychologist and linguist, Steven Pinker, will be discussing his new book, Enlightenment Now: The Case for Reason, Science, Humanism, and Progress at The Music Hall in Portsmouth, New Hampshire on Wednesday, January 30, at 7:00 pm as part of the Writers on a New England Stage series. Tickets are $13.75 (plus $18 book voucher). Alex Mar is reading from her new memoir, Witches of America, on Thursday, January 31 at 4:30 pm at Dartmouth College’s Sanborn Library in Hanover, New Hampshire. This reading is part of the Cleopatra Mathis Poetry & Prose Reading Series. Daisy Johnson, whose novel Everything Under, was shortlisted for the Man Booker Prize, will be at the Harvard Bookstore in Cambridge, Massachusetts, on Thursday, January 31 at 7:00 pm. The Frost Place is accepting submissions for their annual Chapbook Competition until January 5. The competition is open to any poet writing in English. The submission fee is $28. For more information, please visit the Chapbook Competition page. Applications are being accepted through January 5 for the Dartmouth Poet in Residence program at The Frost Place. This is a six-to-eight-week residency in poet Robert Frost’s former farmhouse in Franconia, New Hampshire. The residency begins July 1 and ends August 15, and includes an award of $1,000 from The Frost Place and an award of $1,000 from Dartmouth College. The recipient will have an opportunity to give a series of public readings across the region, including at Dartmouth College and The Frost Place. For more information, please visit the Residency page. Every summer, the MacDowell Colony in Peterborough, New Hampshire, awards residency Fellowships to artists in seven disciplines, including literature. A Fellowship consists of exclusive use of a private studio, accommodations and three prepared meals a day for two weeks to two months. The deadline for the 2019 Summer MacDowell Literature Fellowship is January 15. The application fee is $30. For more information, please visit the Residency Application page. On January 4 from noon to 1:00 pm, Joni B. Cole will be discussing how to foster wellness through expressive writing at Open Door Integrative Wellness in White River Junction, Vermont. Expressive writing, also known as reflective or introspective writing, invites individuals to respond to a “prompt” as a means of exploring their thoughts and feelings, and tapping into the unconscious. At this free “Lunch and Learn” session, Joni will discuss the value of expressive writing to you and to your organization. She’ll also facilitate a brief hands-on demonstration, so bring something to write on/with. For more information or to RSVP, email Joni at jonibethcole@gmail.com. Learn simple bookbinding at a DIY Bookbinding class from 6:00 to 8:00 pm on January 8 at Words & Pictures in Essex, Vermont. This class will demonstrate simple techniques for binding small DIY-ed books, including saddle stitch (stapled) binding, perfect binding, and a couple different types of sewn binding. $15, includes materials. For more information and to register, please visit the Words & Pictures Workshop page. Writing can be a powerful, cathartic means of coping with life's greatest hardships, including the illness and death of loved ones. In the Writing Group for People Experiencing Loss workshop, discover ways that writing may allow grief to move and evolve. Co-Facilitated by Jenny Gelfan, MAed & Jessica Stout, MSW, this workshop will meet Thursdays at 12:00 pm from January 10 through February 14 at the Jack Byrne Center at Dartmouth-Hitchcock Medical Center, in Lebanon, New Hampshire. Enrollment space is limited. For more information or to RSVP, please email Amanda M. Reinemann or call her at (603) 308-2447. On January 13, Carly Winn will lead Writing Ecospsychology: A Writing and Meditation workshop from 2:30 to 4:00 pm at Open Door Integrative Wellness in White River Junction, Vermont. This workshop is an introduction to writing ecopsychology, the interaction of the psyche and the landscape. You will learn to tell the story of your own interaction with the natural world. The workshop will include a discussion of craft, a brief analysis of some samples of ecopsychology writing, a short free-write exercise, and guided meditation. For more information or to register, please email Carly at carly3ski@gmail.com. The OSHER@Dartmouth winter term is offering several courses for writers and readers, including “Completing Your Manuscript,” “Four Women Poets of Northeast Scotland,” “Poems from the 20th Year of Seven Centuries,” “Renaissance Classics,” “Sherlock Holmes,” “The Poetry of T.S. Eliot & Wallace Stevens,” and “Writing in Circles.” Tuition ranges from $40 to $80. Classes are open only to members ($70 fee). Courses begin the week of January 14 and meet at various locations in Hanover, New Hampshire. For more information and to register, please visit the OSHER@Dartmouth website. The League of Vermont Writers’ annual business meeting and winter writing craft workshop will take place at Trader Duke’s Hotel in South Burlington, Vermont, on January 19, 2019. This year’s theme, “Honing Your Craft: Writing that Sizzles,” features workshops and discussions led by two well-published Vermont authors: Julia Shipley and Sean Prentiss. $46 for League members; $56 or non-members (includes morning refreshments and lunch). The deadline to register is January 6. Fore more information and to register, please visit the League’s Gatherings page. The New Hampshire Writers’ Project is hosting a Travel Writing workshop, led by author Dan Szczesny on the campus of SNHU in Manchester, New Hampshire, from 10:00 am to noon on January 19, 2019. Registration is $50 for NHWP members; $70 for non-members. For more information and to register, please visit the NHWP Workshops page. Sick of using the cut and paste method for creating your zines? In this InDesign: Make a Zine workshop held on January 22, from 6:00 to 9:00 pm at Words & Pictures in Essex, Vermont, you will learn how to design a simple eight-page, half-letter zine in InDesign. This is a beginner level class, which will cover setting up a document, adding text and images, and exporting the document for print or online distribution. $50. For more information and to register, please visit the Words & Pictures Workshop page. Also at Words & Pictures, learn how to make a one-sheet comic or zine that can be easily reproducible and attributable at the One Sheet Comic/Zine Jam on January 26 from 6:00 to 8:30 pm in Essex, Vermont. All experience levels welcome! $5 suggested donation for use of space and materials, but no one will be turned away. For more information or to register, please visit the Words & Pictures Workshop page. Learn to hand-bind a journal for writing or drawing at a Bookbinding Journals workshop on Saturday, January 26, from 1:00 to 5:00 pm, at River Arts in Morrisville, Vermont. The workshop covers everything from selecting handmade papers to sewing the open-spine binding using traditional techniques. $85, including materials. For more information and to register, please visit the River Arts Adult Classes page. The AVA Gallery and Art Center in Lebanon, New Hampshire, is offering an Expressive Arts workshop, on Monday evenings from January 28 through February 18. Expressive Arts offers an engaging experience with different modes of art making and materials—clay, painting, stitching, moving, sound, and writing—to understand your potential for insight, creative curiosity, self care, and deep connection. $136 for members; $160 for non-members. For more information and to register, please visit the AVA Gallery website. Poet James Crews will be offering his four-week Mindfulness and Writing Online workshop from February 2 to March 9. In this generative online writing workshop, we'll examine connections between the practice of meditation/mindfulness and the act of writing fearlessly from the heart. Though not required, attendees will be invited to share their work via email with each other. Beginners and all skill levels are welcome. You do not need any previous experience with mindfulness, meditation or online courses; all you need is an internet connection, email and an open mind. $295 for four session. For more information and to register, please visit the Northshire Books events page. On March 9, from 9:00 am to 2:00 pm, the AVA Gallery and Art Center in Lebanon, New Hampshire, is offering a “One Photo, Four Stories” writing workshop where you will ue a photo of your choice as a prompt for four separate stories. This class is open to all levels. $68 for members; $80 for non-members. For more information and to register, please visit the AVA Gallery website. Already dreaming of summer? Registration for Summer Workshops at The Center for Cartoon Studies in White River Junction, Vermont, are already open. This year’s workshops include Graphic Memoirs with Melanie Gillman, Creating Graphic Novels for the Young Adult Market with Jo Knowles and Tillie Walden, and a Graphic Novel Workshop with Paul Karasik. For all the details and to register, please visit the CCS 2019 Summer Workshops page. This month might be the perfect time to catch up on your TBR pile and your Slow Club Book Club reading. If you’re like Shari, you might want to start searching out titles that you want to add to your wish list for 2019. In the new year, be on the lookout for our “Year in Reading” posts again, as we follow suit with The Millions. Remember that books make great gifts! Support your local independent bookstores. Happy Holidays from Literary North! Leath Tonino will be at Flying Pigs Books in Shelburne, Vermont, on Saturday, December 1 at 6:30 pm to read from his essay collection, The Animal One Thousand Miles Long. On Saturday, December 8, at 6:00 pm, Andre Dubus III will be reading from his latest novel at The Northshire Bookstore in Manchester Center, Vermont. Louise Penny, author of the Chief Inspector Gamache mystery series, will be at the Capitol Center for the Arts in Concord, New Hampshire, on Sunday, December 9, at 1:00 pm. Ticket are $38 and include a signed copy of the latest book in the series, Kingdom of the Blind. US Poet Laureate Tracy K. Smith will be at The Currier Museum of Art in Manchester, New Hampshire, on Wednesday, December 12, at 7:00 pm to accept the 2018 Hall-Kenyon Prize in American Poetry. Tickets are $5-10. Mitchell S. Jackson will be at the Vermont Studio Center in Johnson, Vermont, on Wednesday, December 12, at 8:00 pm. Jackson’s new book, Survival Math, is due out on March 5, 2019, and we’ve heard excellent things about it! On Friday, December 14, at 7:00 pm, George Howe Colt, will be at The Norwich Bookstore in Norwich, Vermont, to read from his new book, The Game. Madeleine Kunin will be reading from and discussing her memoir, Coming of Age, at The Norwich Congregational Church in Norwich, Vermont, on Wednesday, December 19, at 7:00 pm. Idra Novey will be reading at Odyssey Bookshop in South Hadley, Massachusetts, on Wednesday, December 5 at 8:00 pm. Also in South Hadley, Massachusetts, poet Eileen Myles will be reading at the Art Building at Mount Holyoke College on Thursday, December 6 at 7:30 pm. On Saturday, December 8, from 1:00 to 4:00 pm, the Emily Dickinson Museum in Amherst, Massachusetts, will hold an open house to celebrate the poet’s 188th birthday. During this free program, visitors can tour the Homestead and The Evergreens at their leisure; enjoy holiday decorations and traditional music; decorate an ornament with a special birthday message; and, of course, enjoy coconut cake made from the poet’s own recipe. Shari has been enjoying the Keeping a Notebook podcast by Nina LaCour. The episodes on writing are short, inspiring and thoughtful. The Hotel Vermont has asked the Burlington Writers Workshop to assemble a small collection of Vermont writing for young people to be available to guests in their rooms at the hotel. The hotel already features BWW writing for adults in all its guest rooms and would like to add work specifically aimed at children and teens. If you have work you are interested in submitting for consideration, please contact the Burlington Writers Workshop. Marble House Project is a multi-disciplinary artist residency program in Dorset, Vermont, that fosters collaboration and the exchange of ideas by providing an environment for artists across disciplines to live and work side by side. The three-week Artist Residency is open to artists in all creative fields, including but not limited to visual arts, writing, choreography, music composition and performance. Applications for 2019 residencies are open through December 16. The application fee is $32. For more information, please visit the Residency Applications page. Bloodroot Literary Magazine is accepting submissions of poetry, fiction, and non-fiction for their 2019 Digital Edition through December 31. For submission guidelines, please visit the Bloodroot website. The Frost Place is accepting submissions for their annual Chapbook Competition. The competition is open to any poet writing in English. The submission fee is $28. Submissions will be accepted through January 5, 2019. For more information, please visit the Chapbook Competition page. Applications are now open for the Dartmouth Poet in Residence program at The Frost Place. This is a six-to-eight-week residency in poet Robert Frost’s former farmhouse in Franconia, New Hampshire. The residency begins July 1 and ends August 15, and includes an award of $1,000 from The Frost Place and an award of $1,000 from Dartmouth College. The recipient will have an opportunity to give a series of public readings across the region, including at Dartmouth College and The Frost Place. Applications will be accepted through January 5, 2019. For more information, please visit the Residency page. Every summer, the MacDowell Colony in Peterborough, New Hampshire, awards residency Fellowships to artists in seven disciplines, including literature. A Fellowship consists of exclusive use of a private studio, accommodations and three prepared meals a day for two weeks to two months. The deadline for the 2019 Summer MacDowell Literature Fellowship is January 15, 2019. The application fee is $30. For more information, please visit the Residency Application page. The Juniper Summer Writing Institute in Amherst, Massachusetts (June 16-22) is now accepting applications. The institute includes manuscript consultations, craft sessions, workshops, readings, and other events, led by a wide range of instructors, including CAConrad, Gabriel Bump, Ross Gay, Khadijah Queen, Bianca Stone, Ocean Vuong, Dara Weir, and Joy Williams. The non-refundable application fee is $40. For more information and to apply, please visit the Juniper Institute website. The Burlington Writers Workshop annual meeting will be held on December 2, from 2:30 to 5:00 pm at the Fletcher Free Library in Burlington, Vermont. All members are invited to attend. To RSVP, please visit the BWW website. The League of Vermont Writers’ annual business meeting and winter writing craft workshop will take place at Trader Duke’s in South Burlington, Vermont, on January 19, 2019. For more details and registration information as it becomes available, visit the League’s Facebook page.